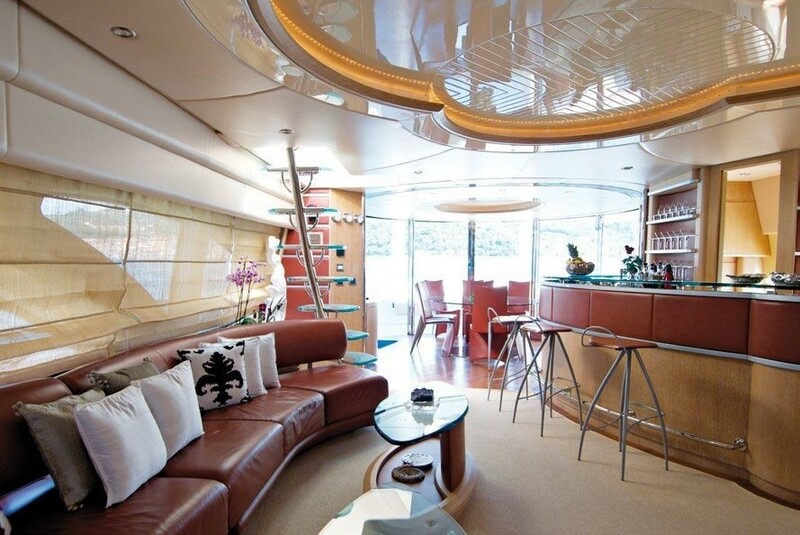 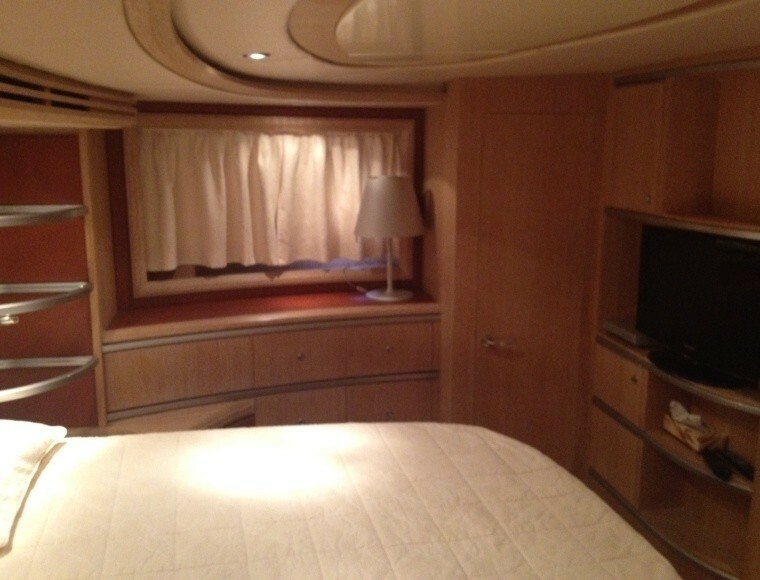 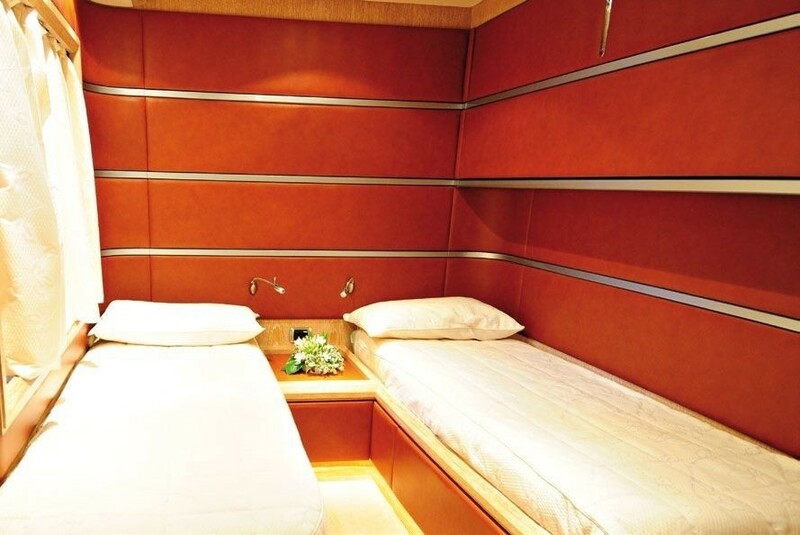 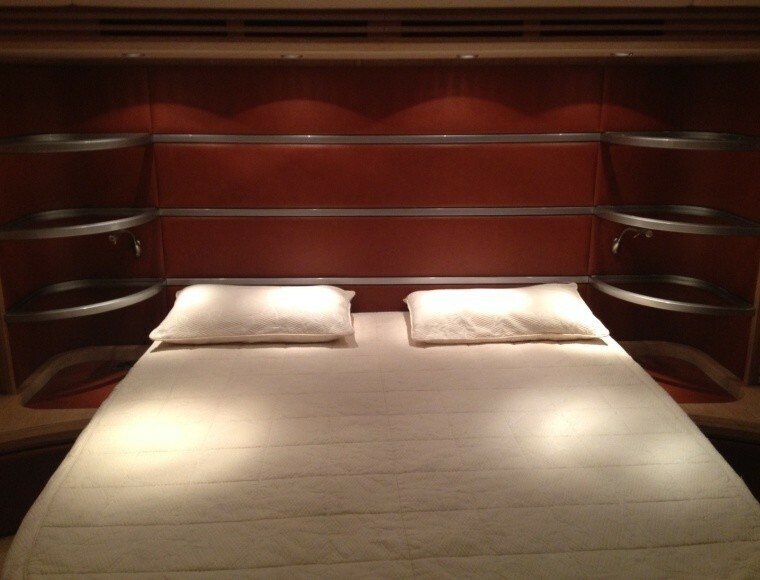 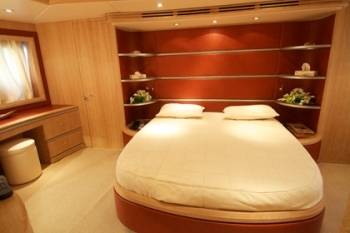 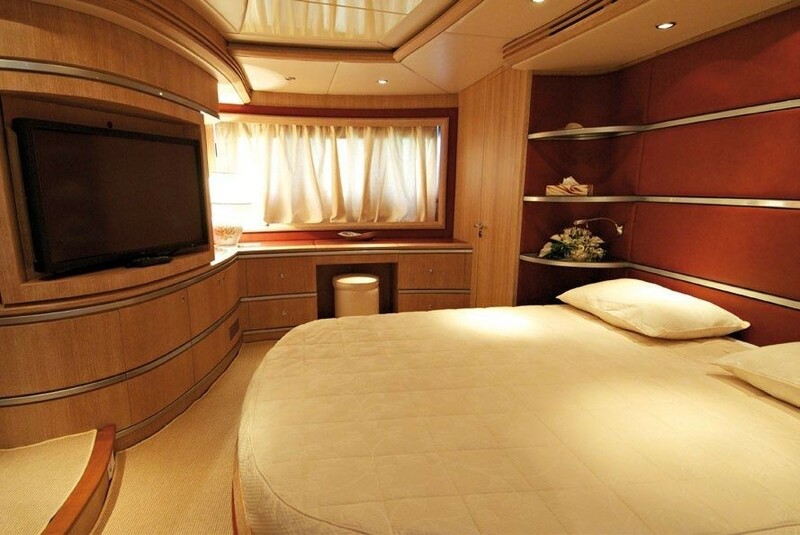 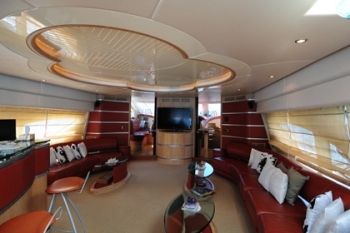 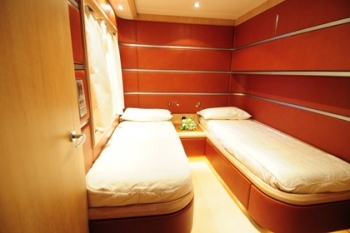 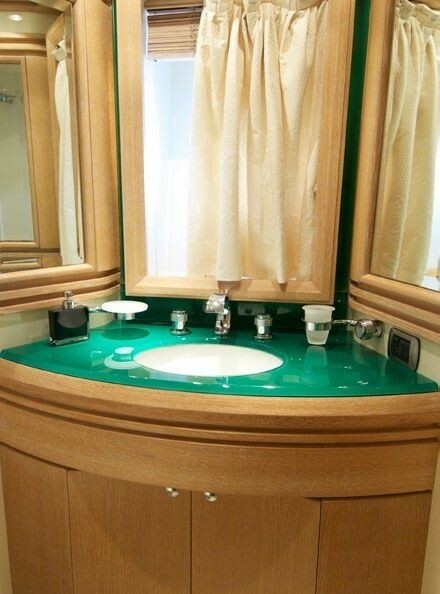 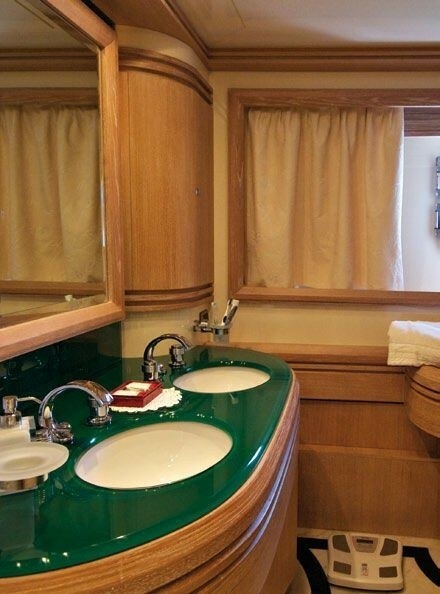 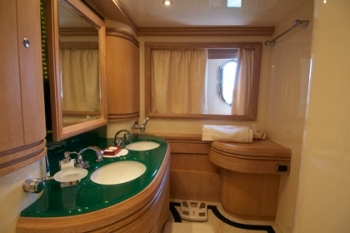 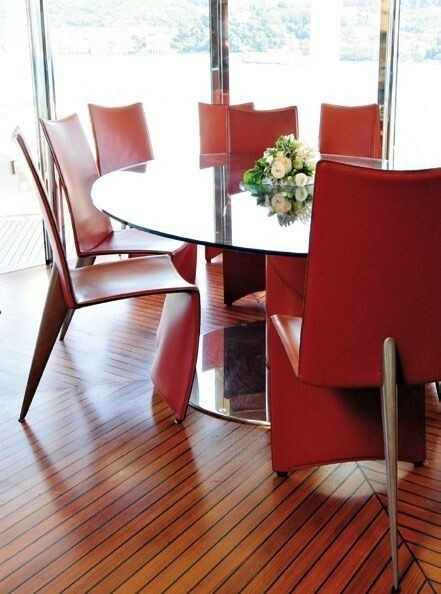 M/Y SEVEN has a lovely airy décor, the salon features neutral carpeted floors with light wood and red leather upholstered furnishings, 2 long settees, a drinks bar with seating and a flat screen TV complete the comfortable space. 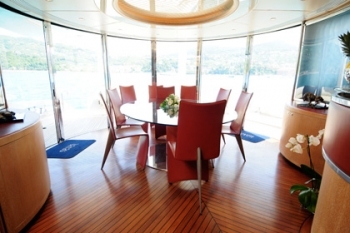 Aft of the salon the formal dining area is atop wood floors with panoramic views out through the innovative curved glass doors, which also open for an alfresco dining experience. 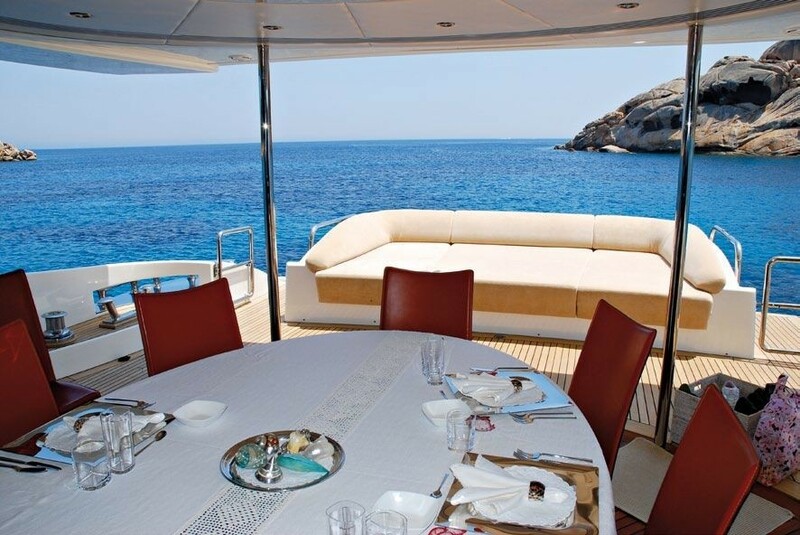 Charter yacht SEVEN offers fantastic outdoor living space, the aft deck boasts a large sunpad and lounge area which can be complimented by the optional indoor outdoor dining feature. 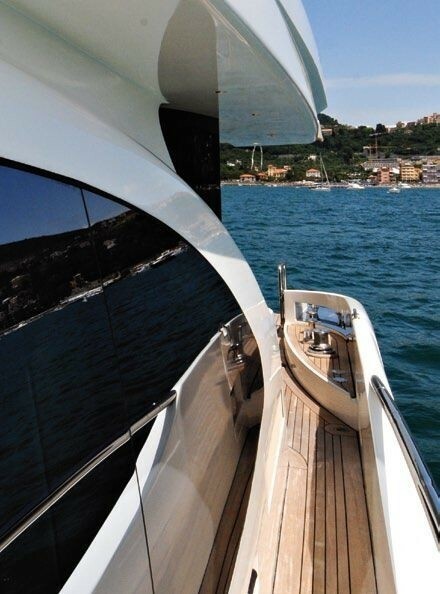 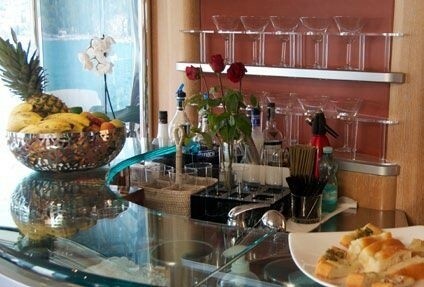 On the transom a swim platform accessed from either side of the yacht make for easy water activities. 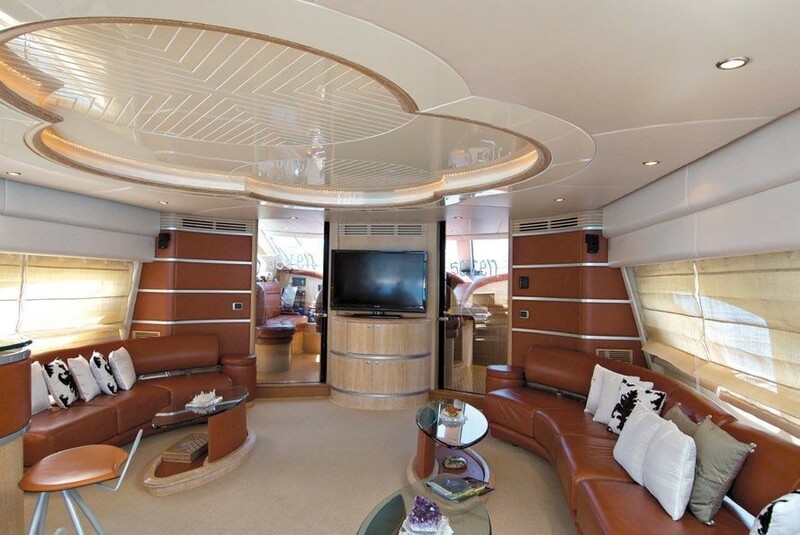 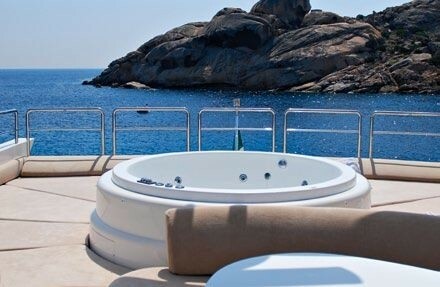 Above, the flybridge provides ultimate relaxation with a Spa Pool tub, sunpads, alfresco dining area and drinks bar. 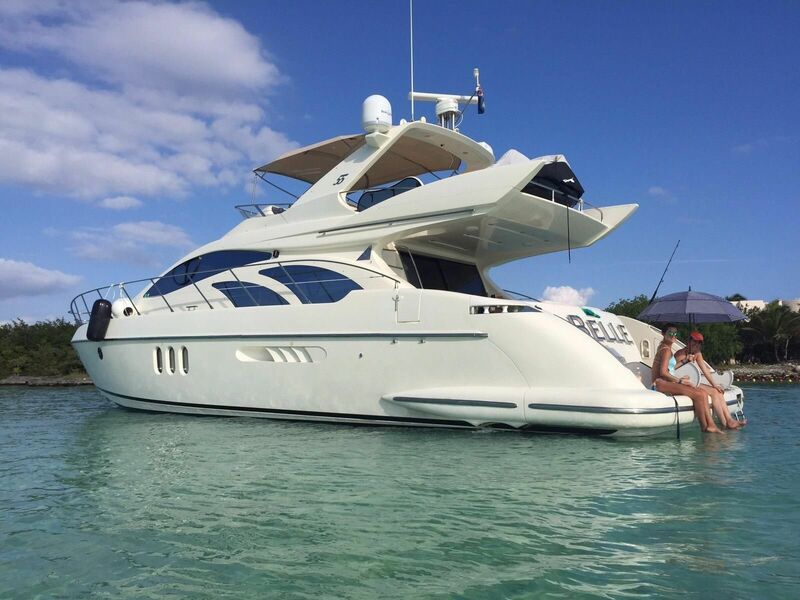 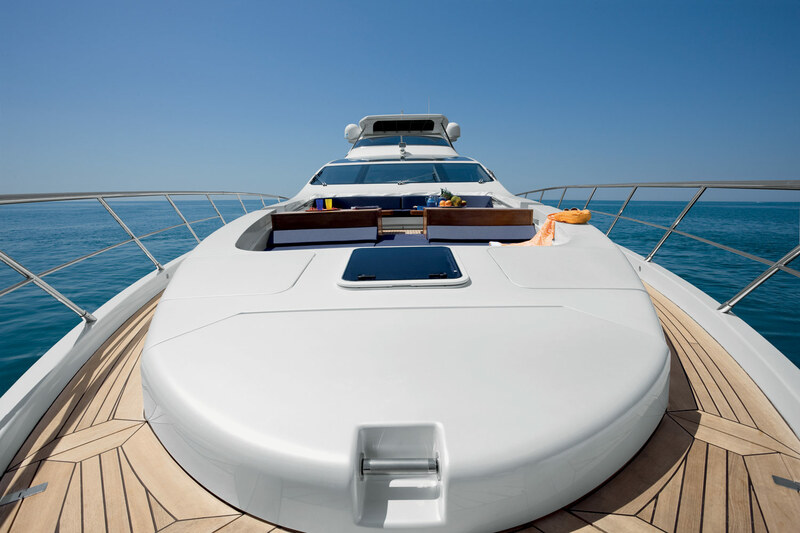 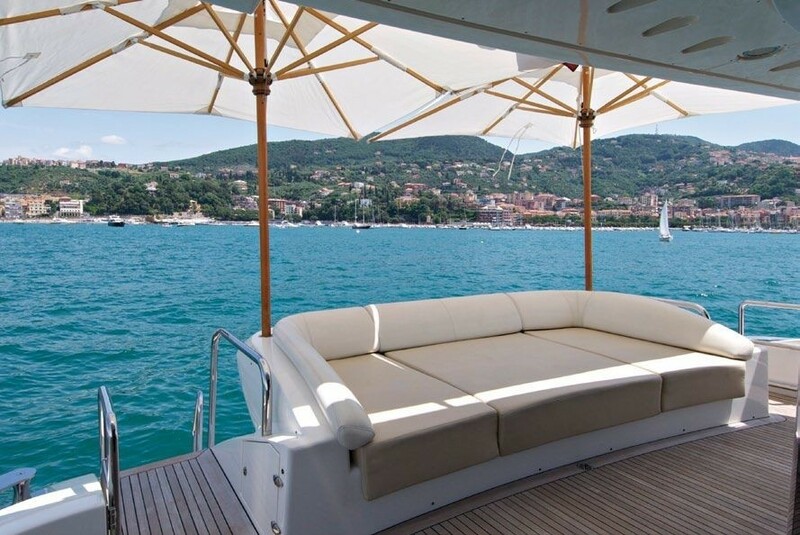 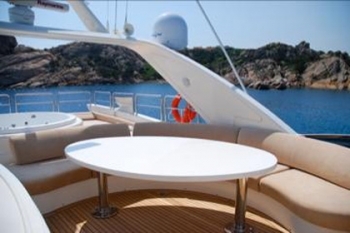 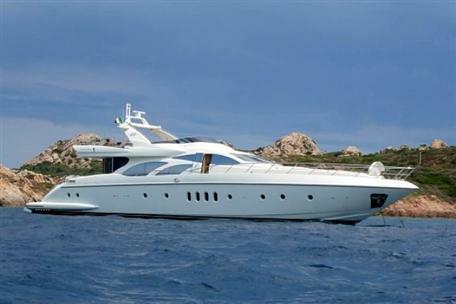 Azimut SEVEN offers additional seating on the foredeck. 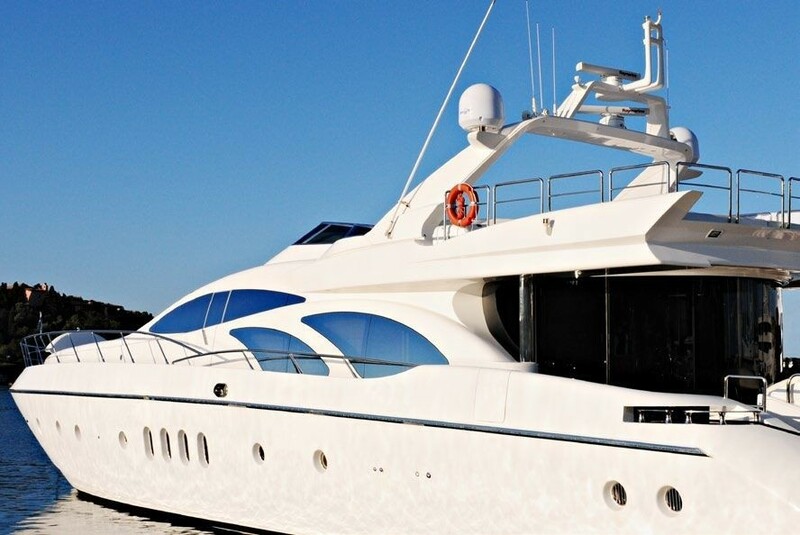 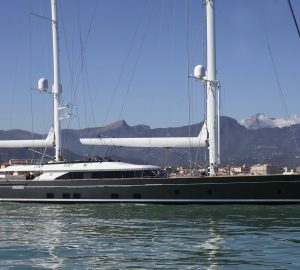 Luxury M/Y SEVEN has a beam of 6.8 meters (22.3ft) and a draws 2 meters (6.5ft) in depth, the yacht cruises at a comfortable 24 knots, with maximum speeds of 27 knots. 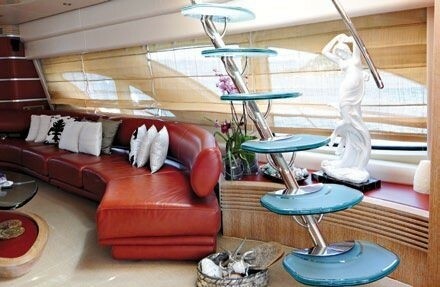 Azimut SEVEN allows guests to enjoy many amenities which include TV/DVD/Satellite TV in the salon, Master Cabin, VIP cabin and Starboard guest cabin, Hi Fi music system in all cabins, Salon and Fly bridge, Internet access in Italy, Playstation, IPod docking station in salon, Collection of books, DVDs and music, Zodiac 4.2m jet tender with 5 seats, 1 Kawasaki jet-ski (standing),1 Sea Doo Wave runner (2-seater), Towing donut & Hot dog, Snorkeling gear, Full set of diving gear on board (available if Rendezvous diving).